For the artistic group, spend a night enjoying each other's company as you paint with a glass of wine or pint of beer nearby (you can also bring your own snacks to complete the evening). Don’t think you have the skill for this outing? Don’t worry! An artist will guide you through the painting step by step so you can feel confident you’ll bring home a masterpiece. 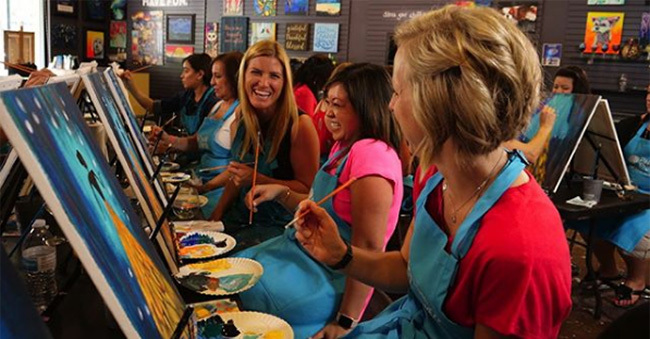 Pinot's Palette offers Ladies Night events throughout the month, but most classes will work for girls' night — just take a look at the calendar and find the painting that most speaks to you. 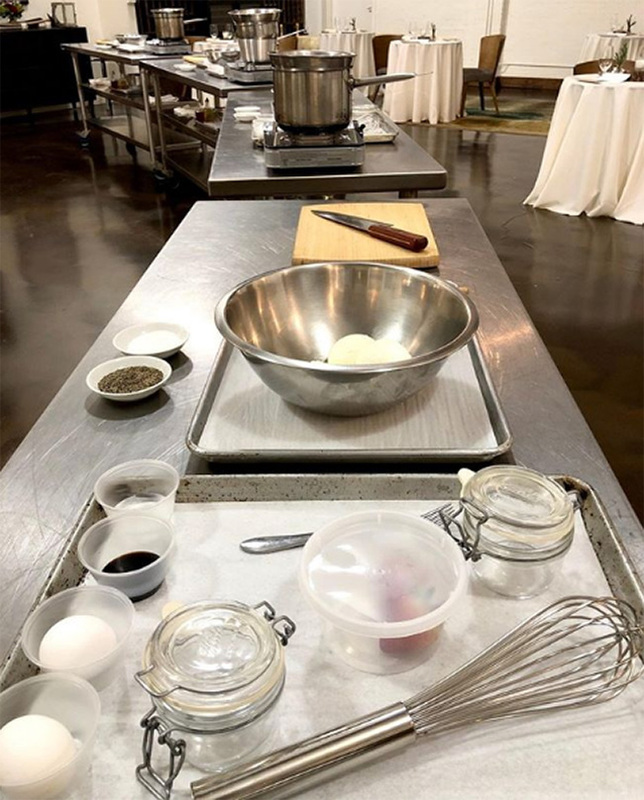 This caterer, which has been praised by The Huffington Post and Goop, offers cooking classes that are perfect for your next GNO. You'll make a three course meal and a cocktail, which you'll enjoy in Feast and Imbibe's dining room after the class. Upcoming classes include filled pastas and street food. If you've ever wanted to learn a new dish or a new skill, this is the perfect way to do so alongside your friends. If your girlfriends love wine, there's no need to plan a trip to Napa — Lynfred Winery is right here in Wheeling. Visit this tasting room between 11 a.m. and 8 p.m. Tuesdays-Saturdays and 11 a.m. and 7 p.m. Sundays-Mondays for wine tastings and fresh bread samples, or visit for specific events like Fruit Wine Tasting (April 13-14), Special Tasting: Quarterly Review (April 20), and Sparkling Floats (May 12). Take movie night to the next level with a visit to this theater. 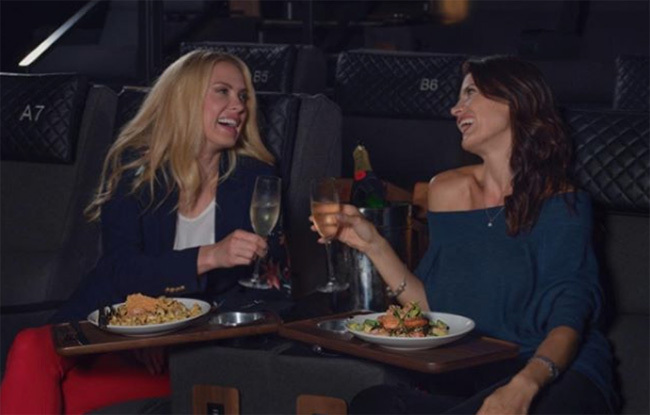 Of course you can stick to the classic popcorn (or go for flavors like Caramel and Chicago-Style), but why not also enjoy steak and fish dishes, burgers, desserts and shakes, and more from the comfort of your theater seat? You won’t have to worry about agreeing on a restaurant to meet at beforehand and rushing to make your movie. (In-theater service ends at show time and guests must arrive 30 minutes before show time.) Or, check out the CMX Market Cinema Old Orchard for a self-serve, food hall-like experience. This Evanston cider company uses apples and pears from Michigan to create its ciders, like lavender-infused Monet Monet and rosé-based Never Say Never. Visit the tap room to catch up over classic and limited-edition ciders before buying cans or a growler of your favorite to take home. When you’re done, walk down the street to Peckish Pig (623 Howard St., Evanston) for dinner. 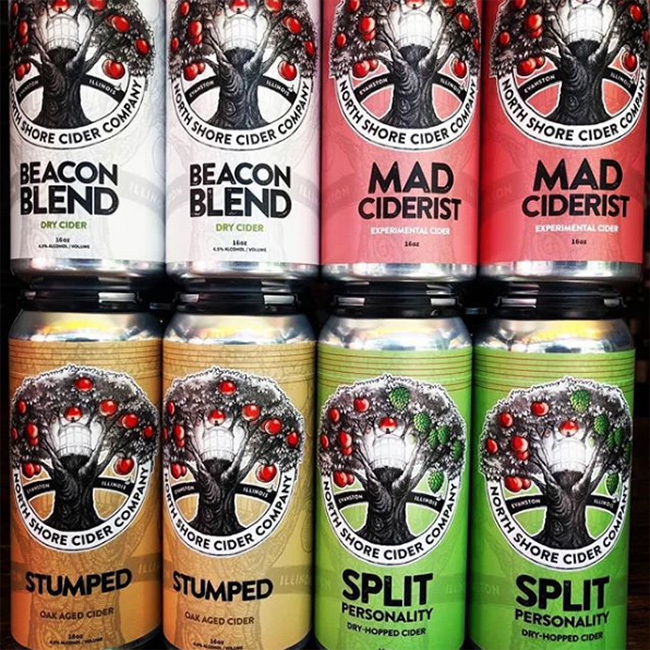 You’ll find North Shore Cider Company’s seasonal offering at this brewpub, which serves food perfect for sharing amongst your group. Order the Charcuterie or Bacon Fat Popcorn with Salted Caramel to start before moving on to Caramelized Onion Flatbread, Duck Confit Mac & Cheese, and Maple-Habanero Chicken Wings with Smoked Blue Cheese Dressing. Sometimes the only thing you need for the perfect girls’ night out is a table full of delicious food to gather around. Here you’ll find classic Mediterranean fare everyone will love. Start with the Hummus Trio or Saganaki, then try the Greek Burger with caramelized onion, graviera cheese, lettuce, tomato, and greek yogurt ranch or Pappardelle Pasta with wild mushrooms and goat cheese sauce. End the night with a sweet crepe like Honey Custard or Strawberry Nutella. This entry was posted in Attractions, Dining, Events, and tagged Chicago North Shore Restaurants, Chicago North Shore, Chicago's North Shore, Cooking Demonstrations, Cooking Demos, Cooking, Dining Deals North Shore, Dining On Chicago's North Shore, Downtown Evanston, Evanston Restaurants, Evanston, Glenview, North Shore Chicago, North Shore Dining, North Shore Restaurants, North Shore, Restaurants On Chicago's North Shore, Restaurants, Skokie, Things To Do On The North Shore, Things To Do, Wheeling, on April 11, 2019.